Are you ready to keep 100% of what you earn? 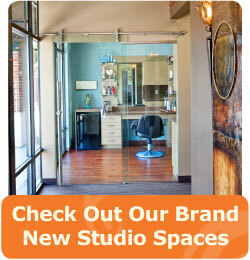 Aria Salon Studios offers beauty professionals greater earning potential because there are no commissions. As the owner of your business, you keep all of your service and retail profits. With your loyal, established customer base, relocating to Aria offers you the opportunity to set your own prices, sell your own products and earn a higher income. If you’re ready to advance your career your own way, we are committed to helping you do just that. Contact us today for your confidential Aria meeting and tour.